"Well I'm going to sleep" Relena announced. "And I'll call Millardo when I get up." He didn't answer, but that could go either way. "I know something's wrong" she pressed. "What is it? Please tell me, Heero." He still wouldn't look at her, but Relena knew she was right. 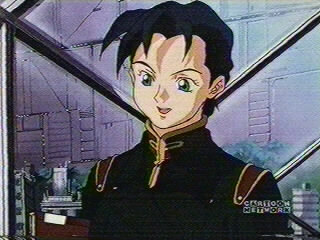 "Oh Heero," she sighed. "You know you're not just my bodyguard! I only said that because I thought it would impress them more then..." she halted. What was he to her, exactly? Friend? Boyfriend? "...then, anything else" she finished lamely.